We don't need to explain to you that we're massive fans of Castlevania here at Nintendo Life - you surely already know that. Like so many other gamers out there, Konami's gothic series has a special place in our hearts, thanks to some amazing 8-bit entries and sublime 'Metroidvania' escapades on the Game Boy Advance. So it was with an understandable degree of anticipation that we approached the 3DS demo unit at this year's Eurogamer Expo. Konami was exhibiting a preview build of Castlevania: Lords of Shadow - Mirror of Fate which showcased one of the early levels, and we gleefully snatched the chance for some hack and slash action. First up, as has been previously stated by Konami's Dave Cox, this isn't your typical Metroidvania epic - although on first impressions, it's tempting to assume so. The bottom screen is taken up by a map, just as it was on the three DS Castlevania entries, and although the game uses 3D graphics, the action remains confined to two dimensions - just like your traditional Metroidvania. However, once you start playing it becomes obvious that this is a very different proposition when compared to the likes of Castlevania: Dawn of Sorrow. For a start, the combat is less about one-hit kills and more about wearing your enemies down and looking for openings. In many cases, even the most basic foe will require several hits from your whip (or should that be Combat Cross?) to bring them down, and you'll often need to use your counter move to set them up for an attack as standard blows prove ineffective. This slows down the pace of the game dramatically when compared to the swift speed witnessed in previous Castlevania titles. Another thing that takes some getting used to is the floaty jumping, which again goes against early entries in the franchise. It doesn't take long to become accustomed to this change, and to be honest the way the main character hangs in the air allows you to pull off air combos with greater ease. It also makes some of the platforming sections easier to stomach; in the demo, we had to ascend a tower in order to progress, and had to use the whip to grapple onto various beams in the roof (a neat homage to Super Castlevania IV). Trevor Belmont's ability to seemingly float in mid-air ensured this process never became too frustrating, as it gives plenty of time to extend your whip and grapple the next safe platform. 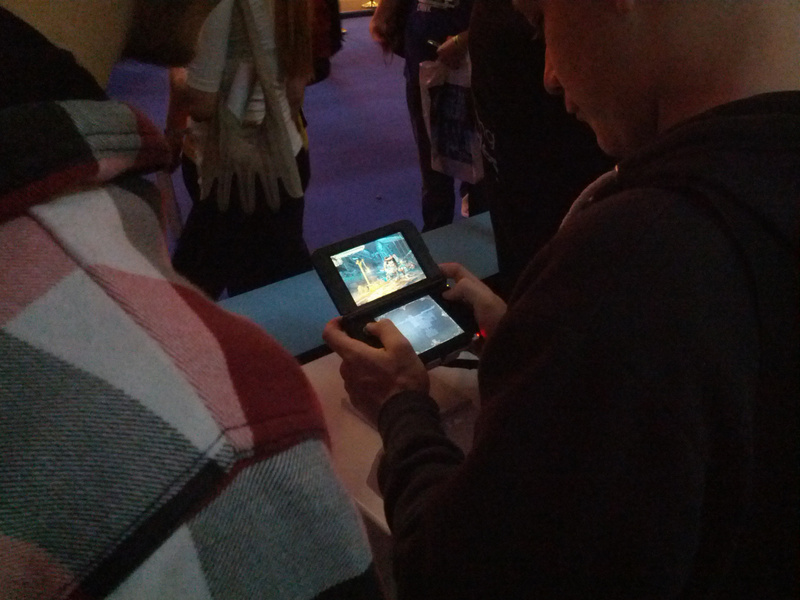 The demo also introduced an encounter with a large, screen-filling enemy. During this section, the game's rather ponderous combat was really brought into keen focus, and worry began to set in. There really isn't much creativity in how you deal with opponents in this game; the issue seems to be that developer MercurySteam has taken the battle engine from the full-3D Castlevania: Lords of Shadow and transferred it to the Mirror of Fate almost without thought. As a result, many of the flanking tactics which made Lords of Shadow so appealing aren't possible, and you quickly fall into a repetitive pattern of combo attacks which rarely test your reflexes or skill. Another problem we couldn't help but notice was the frame rate. Even when the screen is totally devoid of enemies, Mirror of Fate moves in a fashion that could never be described as smooth. Switching off the 3D effect appears to alleviate this issue a little, but it's possible that it could merely be our eyes deceiving us. There's still much to be positive about with regards to Mirror of Fate, despite the rather downbeat tone of this preview. We only had chance to play a very small section of what should be a large, sprawling adventure, and it's worth remembering that there are portions of the legendary Castlevania: Symphony of the Night which play just as badly when taken entirely out of context, as this demo was. Bearing that in mind, we're not ready to dismiss this new instalment just yet. Konami and MercurySteam have already confirmed that the game is getting some additional development time before release, so there's every chance that some - if not all - of the concerns we've raised here will be dealt with in due course. 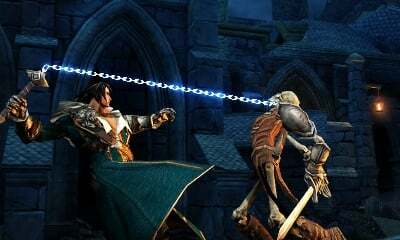 Castlevania: Lords of Shadow - Mirror of Fate is released on the 3DS next year. I'm unconvinced on whether I want to buy this or not, and this certainly did not help its case. I'll just continue to wait and see how it turns out before making too many judgements. I doubt they would release it in that early build! Looking forward to this one hoping they get it right. The 3ds needs many more games like this to be realy successful! I think this game is going to fail. im looking forward to it loved all the rest apart from the xbox one. I'm sure the final version will more than likely be fine, I love Castlevania games and I'm keeping a close eye on this one! Undecided, but I doubt it. I'll be spending all my money on other games. 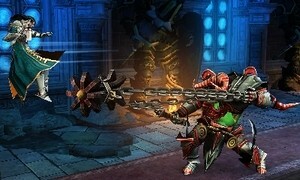 I even like the N64 Castlevania games but this one just looks bad, it will be the first Castlevania game I won't buy. "some additional development time before release" doesnt bode well. Translation: "we'll desperately try to fix some of the more glaring issues so the reviews wont be too bad"
When a game is this far along it's very rare that major issues such as those mentioned would be solved. Then again, most of the issues mentioned here are just of features that differ from standard Castlevania games - which is not a problem as long as it still fits the game they're making. Disliked the choices to make the game akin to LoS, but seeing that I did enjoy the last half of that game after a first horrible impression, I'll be willing to give this one a shot. Heck I'd get it anyway since I am a CV fan. I just pray they take out those load time monologues from the console game. im sure it will look lovely but the combat just looks so annoying, i can understand it probably works well in the 3D versions but this is a side scrolling platform. 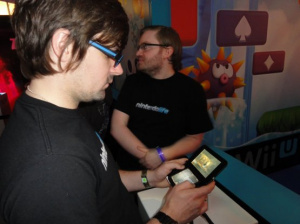 Just give us a regular, good 'ol Metroidvania in 3D please... Then you can start experimenting with the formula. Still looking forward to it. The platforming, graphics and atmosphere look great and are enough to warrant a purchase in my eyes. I love Castlevania, it's one of my favorite game series if not my second favorite. However, I am waiting on this one. I don't have full confidence because its not classic style or Metroidvania, it seems like a mix of both along with the 3D games. We all know how most fans feel about the 3D games (hint: they don't like them). I really hope this is good but if its not I am firmly going to be a fan that will promote a "back to the basics" movement. Sorry, this just isn't Castlevania. God of War'Vania' gone 2D boasting westernized visual ashtetics. sigh* This entry in the franchise should of been handed over to the awesome folks at WayForward...We could of seen something truly special from them, be it classicVania or MetroidVania, i don't care. They never fail when tackling a popular franchise. Contra 4, A Boy & his Blob and even Aliens for the DS. @Windy I would get each and every one of those 3D Classics in a heartbeat! @WaveBoy While I do love WayForward, it seems they botched Hotel Transylvania very badly. At least, from the reviews so far. Really reminds me of Shinobi on 3DS,and that's a good thing. Not picking up this one, the arrogance of the development team has lured me away from their games. @MagicEmperor I think he was referring to the non-licensed and 2D games from WayForward. I think I'll wait for a review first. The repetitiveness can become an issue in this type of game. I plan of playing this one eventually. Sometime after I get around to playing the original Lords of Shadow. The did choose the wrong system, but I'm still willing to get a copy. I'm glad to see many people have written off the game because of a review of an early demo. I will wait to try the game for myself, or at the very least wait to read multiple reviews after release. Only time will tell. But even so, the game still looks good so I might check this game out. Visually and audibly, this game is already disappointing enough for me to have no interest. It's all grimdark bloom and doom nonsense instead of the lush and alive environments of the previous handheld installment, Order of Ecclesia. Gone are the rockin' tunes of past Castlevania games too, replaced with orchestrated "moody" tracks that just sound monotone and uninspired. Wrap it all up with a dull, slow paced combo system instead of the quick whipping action of the past and you've just lost me entirely. Lords of Shadow was immensely underwhelming and just didn't feel anything like a Castlevania game to me. Should the series continue on this route, Harmony of Despair will be the last game in the franchise I consider worthwhile. Game is high on my want list for sure. I'm sure the quirks you guys saw will be taken care of before release. I am confident this will be a very good game thanks to its extra time in the oven.